Grammy Award-winning folk artists Jay Unger and Molly Mason will return to the Senate House once again to perform on the lawn of the Senate House State Historic Site, 296 Fair St., Kingston, on Friday, Sept. 16, from 6 to 10 p.m. This will be a benefit concert for the Friends of the Senate House. 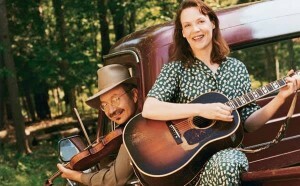 Along with a successful recording career, Jay and Molly’s music has appeared in various movies, most notably in Ken Burns’ landmark PBS documentary The Civil War. The result: an Emmy nomination for Jay and a Grammy for the soundtrack album. Tickets for the event are $30 and are available through the Friends of the Senate House. Along with the music, there will be hors d’oeuvres and drinks with Ungar and Mason. Seating is limited.